Another brilliantly comical adventure starring naughty Lola and her saintly big brother Charlie. This time, Lola gets stroppy when someone else borrows her favourite library book. Charlie will have to find a replacement – fast! But can there possibly be any book as good as Beetles, Bugs and Butterflies? A hilarious storybook with a free sticker sheet inside. 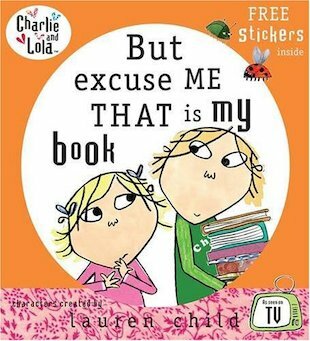 I love Charlie and Lolo its a wonderfull read and I love the drawing she makes it so good to read and enjoy these books.